Ford Sollers joint venture started installation of Era-Glonass positioning systems on the whole model line of Ford automobiles produced in Russia, press service of the company told TASS on Oct. 27. "The whole model range of Ford vehicles for the Russian market will now have serially outfitted Ford emergency call system compatible with Era-Glonass emergency services calling system," the press service said. In case of an accident, vehicle's data and its precise coordinates are identified automatically and transmitted to an operator of Era-Glonass system and then to emergency services - 112 System or units of the Interior Ministry. 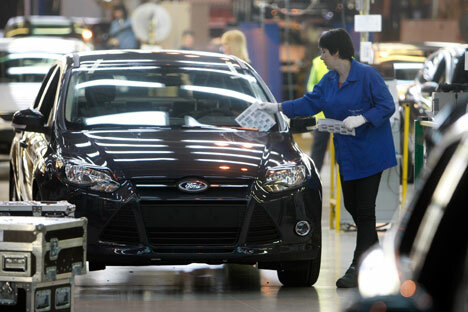 All Ford cars for the Russian market will be equipped with Era-Glonass system from January 1, 2017.